Are you up for taking the ultimate road trip? For plenty of years, roads have provided people an efficient way to travel. However, that’s not always the case since some roads are heavily traveled and worn down dramatically. 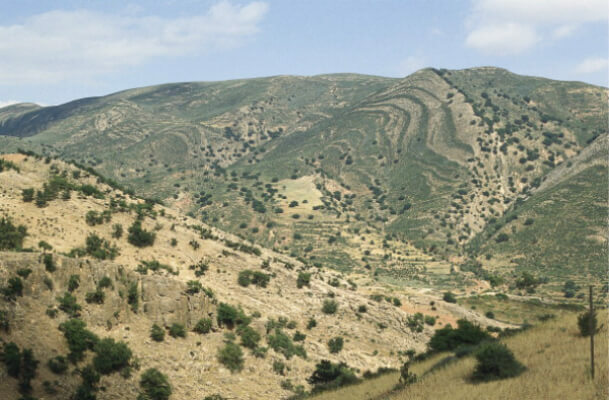 Others are remote, winding, or extremely narrow that make them almost impossible to drive down. Whatever the case may be, however, you will be thankful that walking from work to home isn’t so bad. If you’re the type of driver who struggles to find reverse or doesn’t know how to change a tire, you should find a designated driver to navigate through some of these roads. The highway is one of the longest highways in the world, and that includes the Trans-Canada Highway. For you to get from Vladivostok to St. Petersburg, the road crosses through forests, mountains, and more. Much of the roadway is unpaved, which is not ideal for your casual Sunday morning drive. 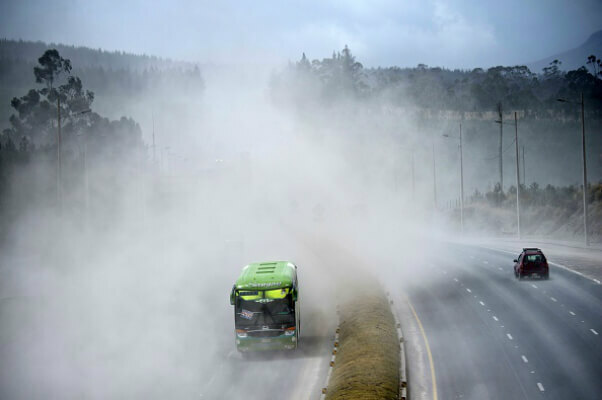 The 40-km long dirt track links the Pan American highway with the Cotopaxi Volcano Road. There are many vulnerable sections that are branching off the highway too. There’s a little bit of everything, from enormous potholes, slippery slopes, and all around dangerous driving conditions. Seriously, unless you’re a professional driver, don’t even try to navigate your way through. 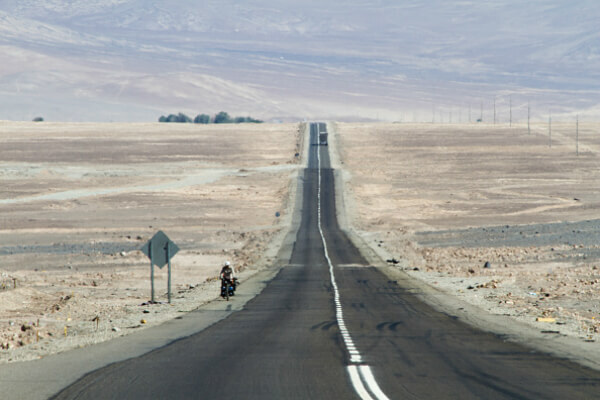 It’s the longest motorable road and when you see just how far it stretches, you’ll see why. It extends from Alaska all the way down to the tip of South America, about 30,000 miles in total. Now, can picture crossing two continents and traversing through jungles, mountains, and more? It sounds like it’s coming out of Need for Speed. It’s not a fun place to drive, but the next one ahead is a mountain road in Greece with many dropoffs. 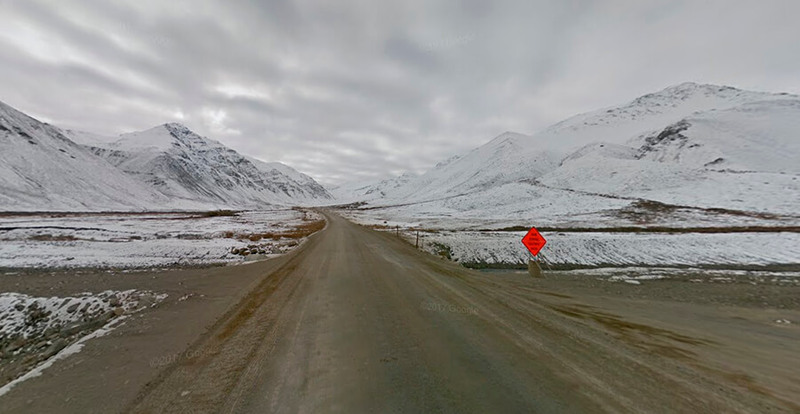 This icy road was built in 1974 as a supply route for the Trans-Alaska Pipeline System. Driving down this route means you’ll need to pack plenty of supplies. There are only three towns on the 413-mile trek, one of which is named Deadhorse. To make matters worse, large sections of the road have fallen into disrepair. 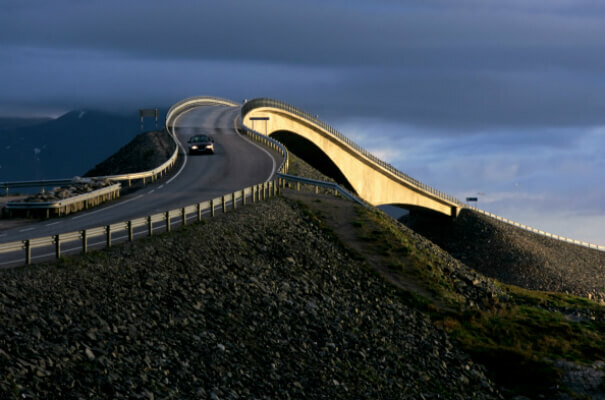 The twisting ribbon of nothing but concrete might look beautiful, but don’t be fooled because driving along the Atlantic Road will feel like a roller coaster ride. It’s even worse when the weather isn’t on your side. In this part of the world, it’s visibility can disappear in a matter of seconds, so you have to stay alert as you twist and turn. It’s not a fun drive. 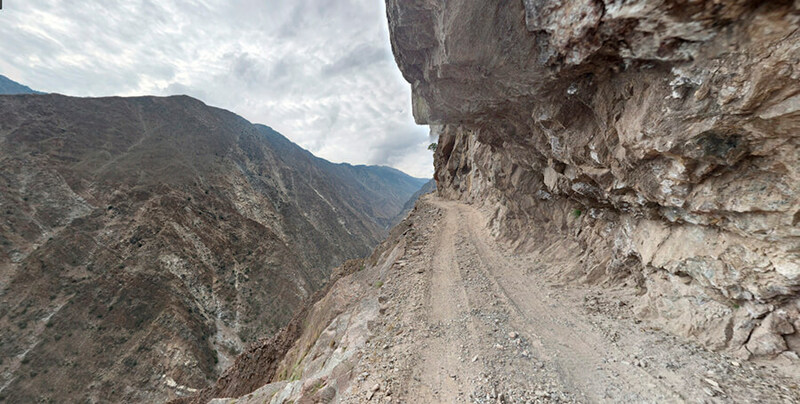 This is a mountain road with many dangerous dropoffs. With drops that appear to be hundreds, if not thousands of feet to the side, experienced drivers could be the only ones who should attempt this route. Outside of that, it’s not recommended to go here. I’m getting anxious just looking at it. 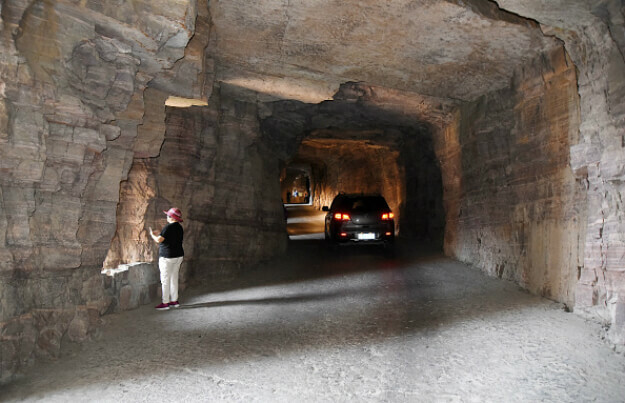 Read ahead to see the narrow winding road that was blasted out of the rock in the 1920s. 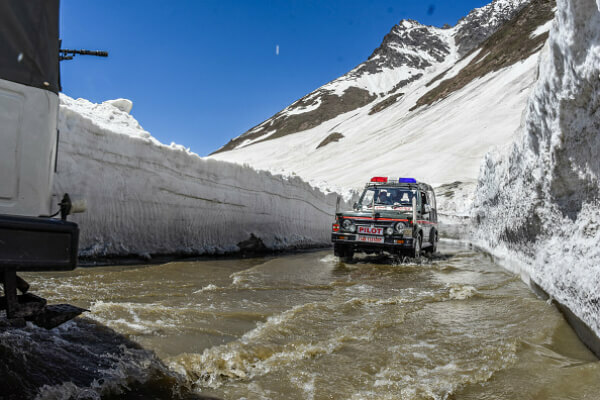 The highway connects China and Pakistan 15,400 feet above sea level. There are no barriers, and many drivers have been victims of altitude sickness or distracted by the gorgeous views. Because of its high elevation and how difficult it was to construct, it’s even referred to as the Eighth Wonder Of The World. The good news? There are plans to widen the road from 32 feet to nearly 100. Yeah, this certainly doesn’t offer any excellent views. 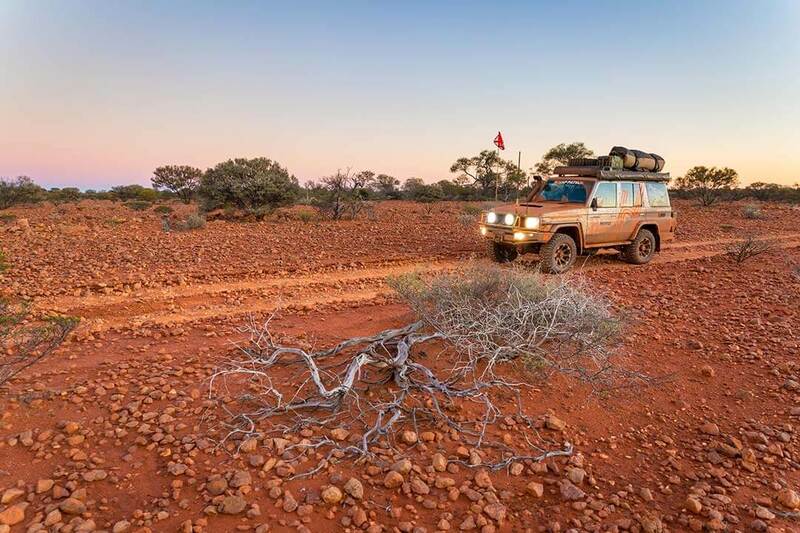 The 1,150-mile long track is one of the world’s most remote roads. It’ll take you two to three weeks to drive it from start to finish. It’s impossible to travel when it’s hot, and drivers are advised to travel in multi-vehicle convoys. The narrow winding road was blasted out of the rock in the 1920s. The steep drops mean it’s best to avoid if you suffer from vertigo. Local drivers are known to drive along the road at break-neck speeds, so you can probably guess who’s a local and who’s a tourist. During the winter, landslides and avalanches occur almost on a daily basis. One of the most unnerving sights of the next dangerous road is the dozens of makeshift memorials. 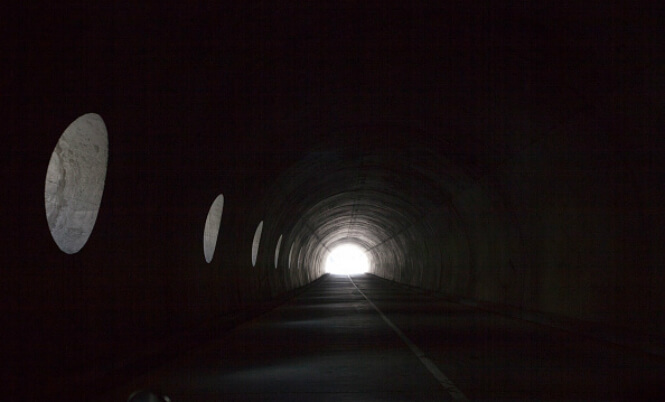 The inside of this 3/4 mile road tunnel is only 16 feet tall. It’s in the Taihang Mountains of Henan Province in China. It’s not recommended to stop and take a selfie with the carved out windows, but as you can see, that’s what this lady is doing. Oh, and before it was built, locals from the village used a ladder to get back and forth. It went into La Paz, which holds the honor of the world’s highest capital city. Eventually, authorities built a shiny new highway, and locals continued to speed down the road. One of the most unnerving sights is the dozens of makeshift memorials, which are dedicated to those who lost their lives. The road in Pakistan is only open during the summer months. A six-mile stretch of the track is exceptionally hazardous. The way was built hundreds of years ago by villagers on Nanga Parbat Mountain. Since then, it has not been repaired or renovated. One false move could be the end of your life. Read ahead to see why the BR-116 is known as the Highway of Death. 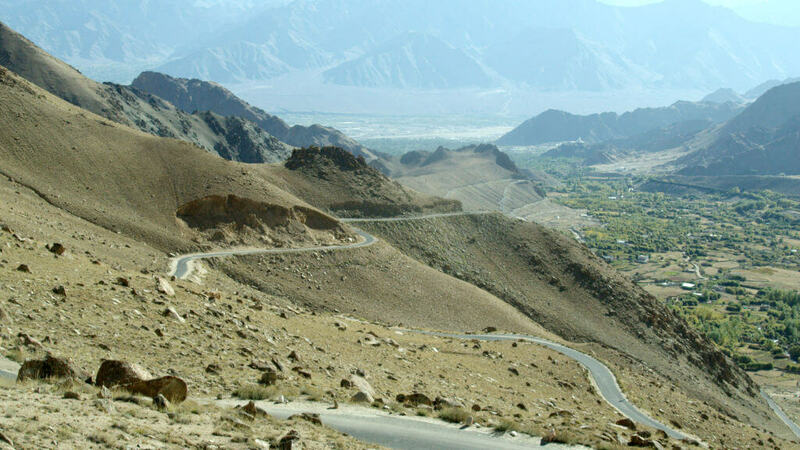 The Himalayan highway connects Ladakh and Kashmir. The uneven road surface means it’s only really suitable for off-road vehicles. 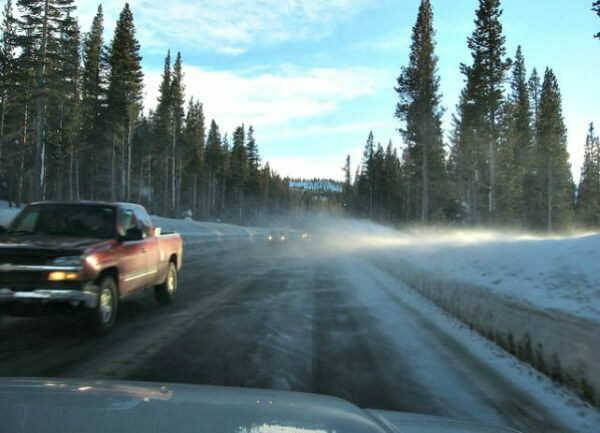 During the winter months, wind, snow, and rain make the road even more of a challenge, and you can’t expect the average car to be able to push through. It’s another spot on this list where it’s probably best not to look down. 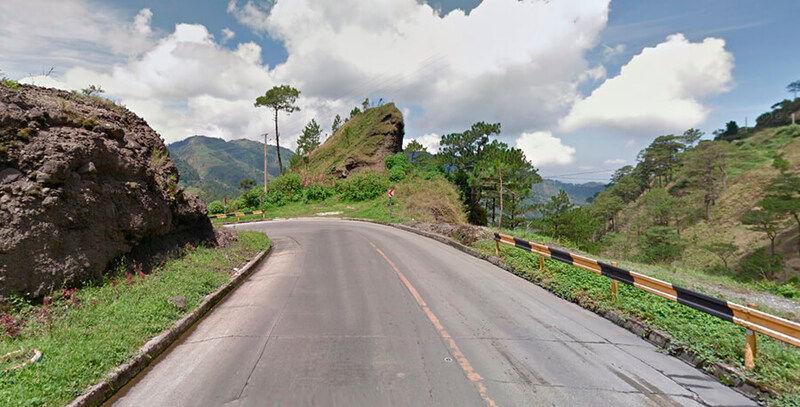 The only way to get there is the landslide-prone Halsema Highway. 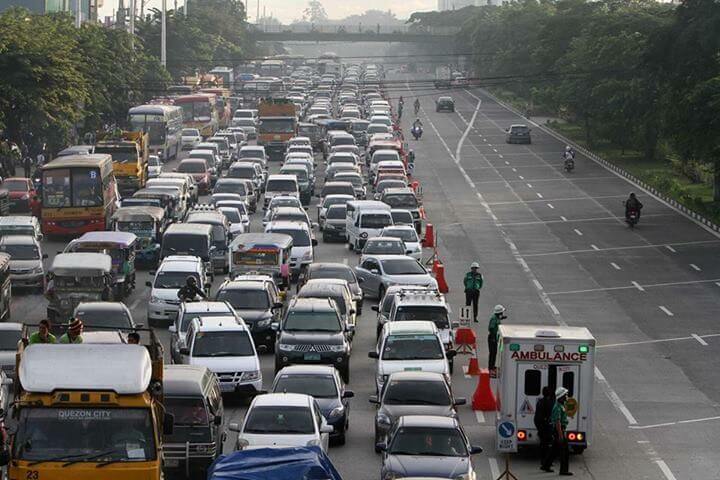 The favorite tourist spot in the Philippines is one of the most poorly maintained roads in the world. Every single year, a bus or two will go rolling over the edge, so it’s pretty hard to trust using public transportation. The BR-116 is the second-longest highway in Brazil. It’s the home to more than a thousand deaths every year. The cliff section that leads up to Sao Paulo is extremely dangerous. 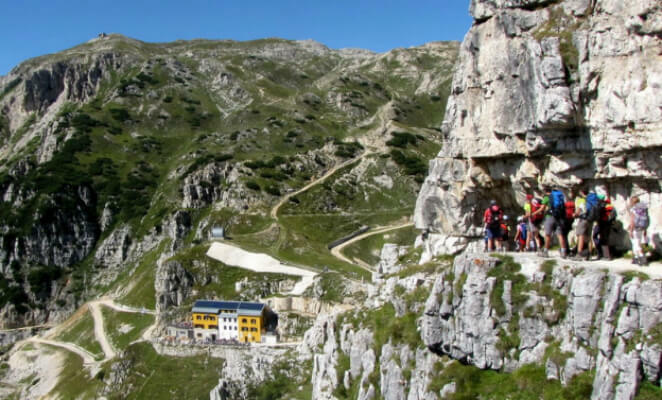 It’s mostly due to poor weather conditions and winding roads that run very close to the mountain’s edge. Still on the way, the reason why the Government of Italy wanted to take down one particular road. 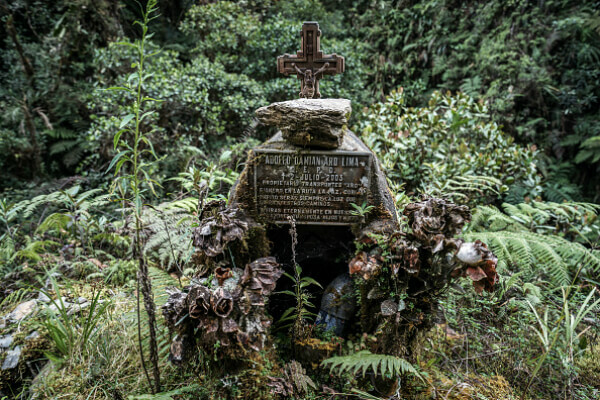 It was carved out over 140 years ago, and it’s still dangerous to this day. Not even your drivers’ insurance would cover you if you run into trouble. If you encounter another vehicle along the way, you’ll have to reverse for up to two miles before you can even find a passing point. There are many factors tath contribute to this name, including poor visibility, speeding, and unexpected lane changes. The highway is filled with crosses to commemorate the many victims down the stretch. More than 34,000 people die in the States every year on the roads. That makes US Route 431 the fourth-riskiest route for you to get into a car. 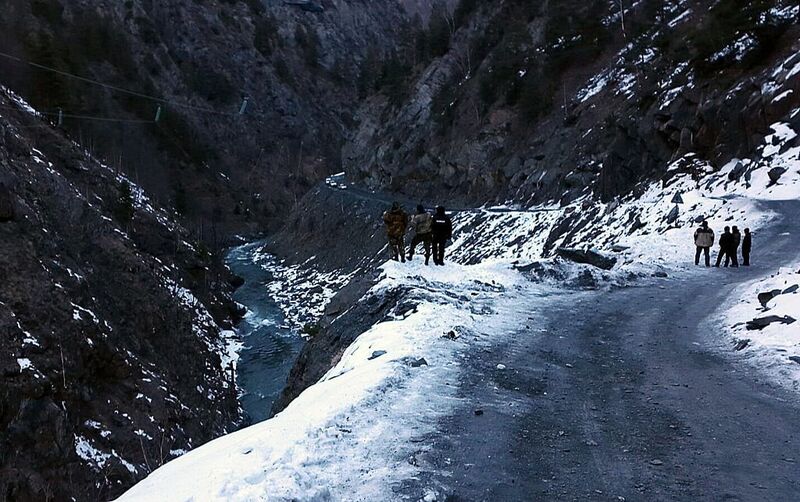 This ancient road almost got shut down by the government. The reason why is because they wanted to save the residents from themselves. Interestingly enough, the way is well-known for its incredible views, as well as the 52 hand-carved tunnels. 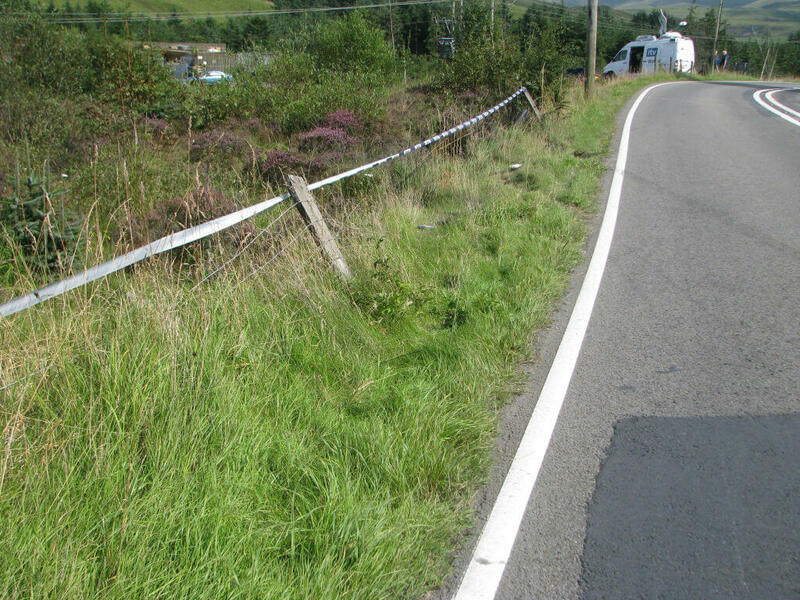 It’s certainly not the place for motorists to speed along the road. The Atacama Desert is one of the driest in the world. The national highway Ruta 5 travels right through it as well. With strong winds, no petrol stations, all you can do is say hello to boredom and huge gusts of wind. If that’s not enough, a dense fog can blind drivers. 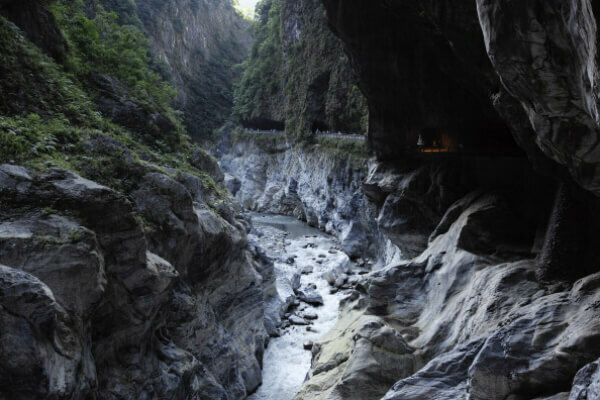 A road that features blind bends and mountain drops, the Taroko Gorge is also filled with massive typhoons. Plus, seismic activity can add on to the dangers of the roads. It contributes to over 95,000 deaths in Taiwan every year. It’s not as “Magnificent and Splendid” as the translated name suggests. There’s no denying that the Apache Trail in Arizona is one of the most breathtakingly beautiful drives in America, but beauty comes at a price! That price? Your sanity — that is, unless driving switchbacks through a literal mountain doesn’t make your heart race. 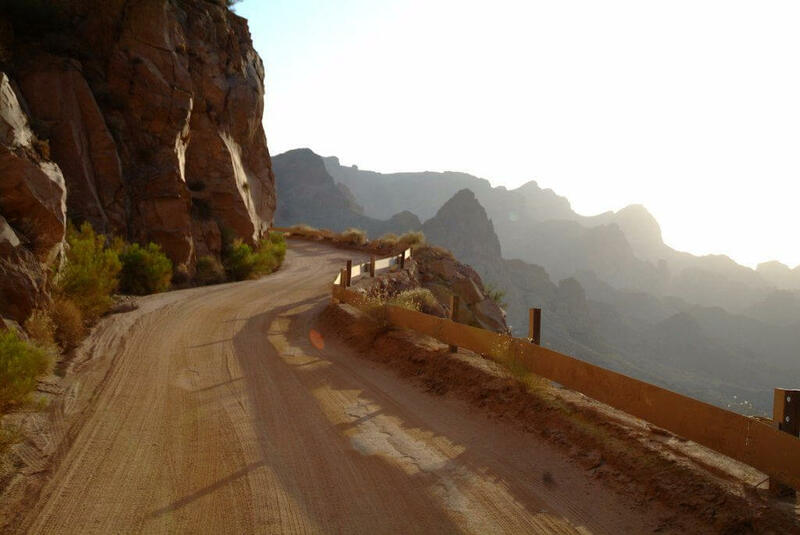 The Apache Trail cuts through the Superstition Mountains. 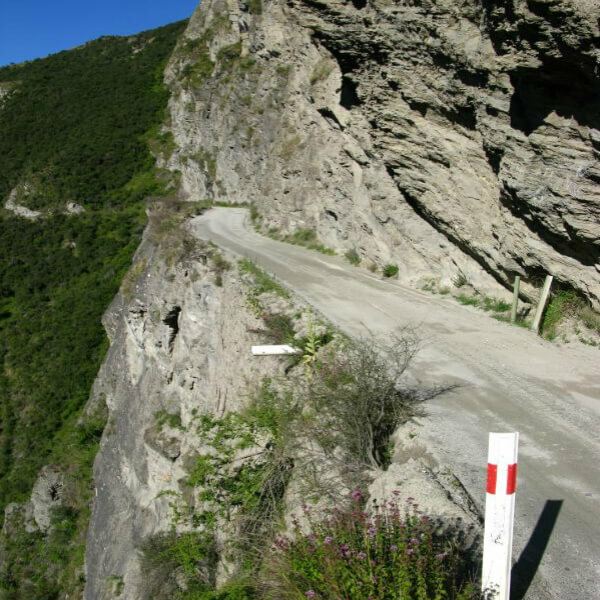 The drive requires extreme focus and a slow pace to avoid plunging off a cliff (notice how guard rails are non-existent here!). Khardung La is a mountain pass in India which boasts an elevation of 17,359 feet at its highest point. It’s often incorrectly cited as the highest vehicle-accessible pass in the world. While this isn’t true, Khardung La is still notable and considered very dangerous. If the threat of a rock slide pummeling your car isn’t your idea of a good time, maybe take another route. 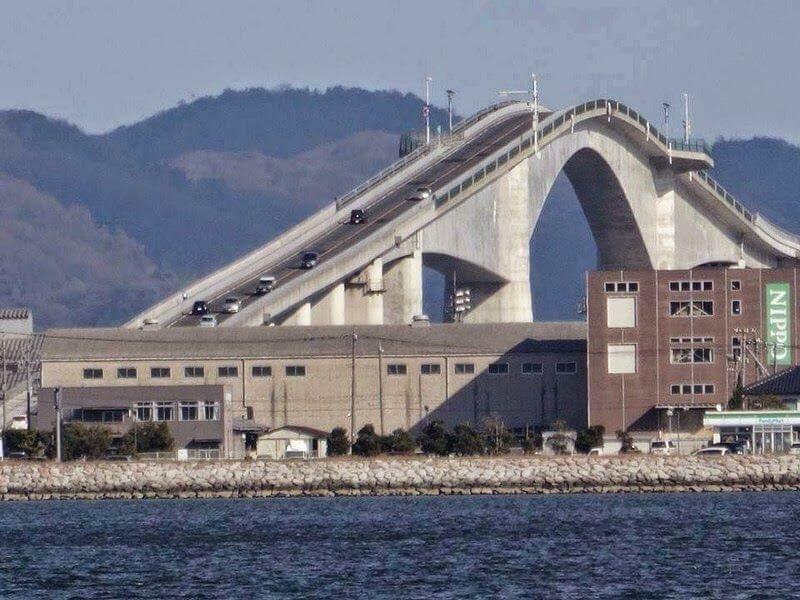 Eshima Ohashi Bridge was built to help ships pass underneath it was ease. While that’s great news for the seaman, it means that drivers have to traverse a bridge with very steep angles. The bridge may be short in length but experience serious elevation gain — and fast. If you’re afraid of heights, you’ve been warned! Unpaved? Check. Narrow? Check. Difficult to navigate? Double check. To put it simply, Caucasus Road in Russia (also known as Route M29) is a hot mess that tests drivers’ ability to maintain their composure. When you add rain or snow to the mix, things only get more challenging. Oh, and did we mention part of the road dissects a mountain? Le Passage du Gois in France is unique because it cuts through a body of water. While this makes for a scenic driver at times, it also means that high tide is a nightmare. 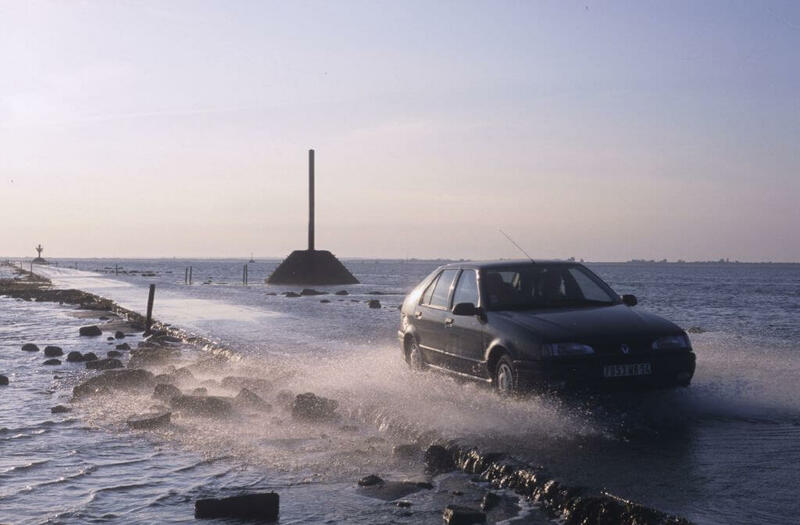 In fact, drivers are advised to take caution even when the tide is low as rouge waves tends to splash over the side. There have been numerous incidents of cars being completely submerged. The Road to Hana is a must for travelers visiting the island of Maui. 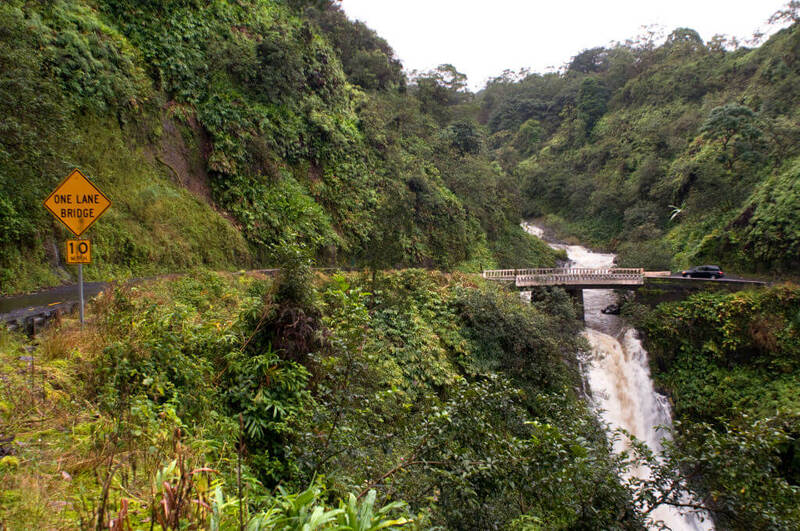 The Road to Hana is famous for its natural beauty, unblemished landscapes, and incredible waterfalls. While the majority of the road is paved, drivers should still be cautious of narrow pathways and steep cliffs. 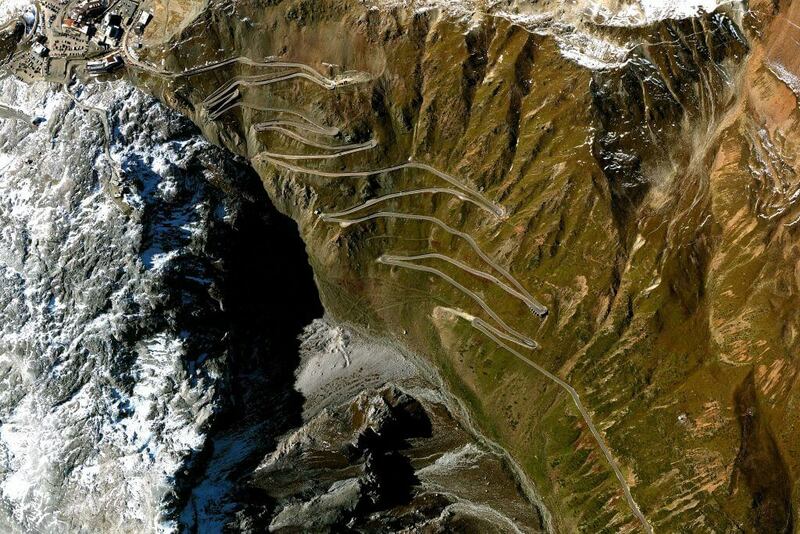 Located in the Italian Alps, Stelvio Pass is just 1.7 miles long but is considered to be the most-winding road in the world. 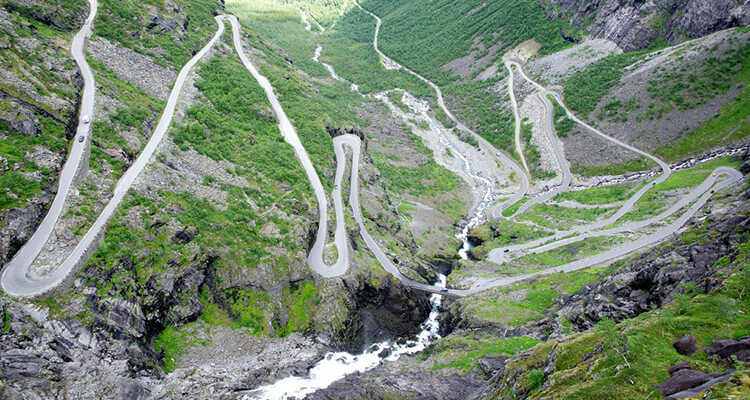 With switchbacks aplenty, this road challenges even the most experienced drivers. If you take this route, it’s advised that you (or whoever is driving) has some serious maneuverability skills! 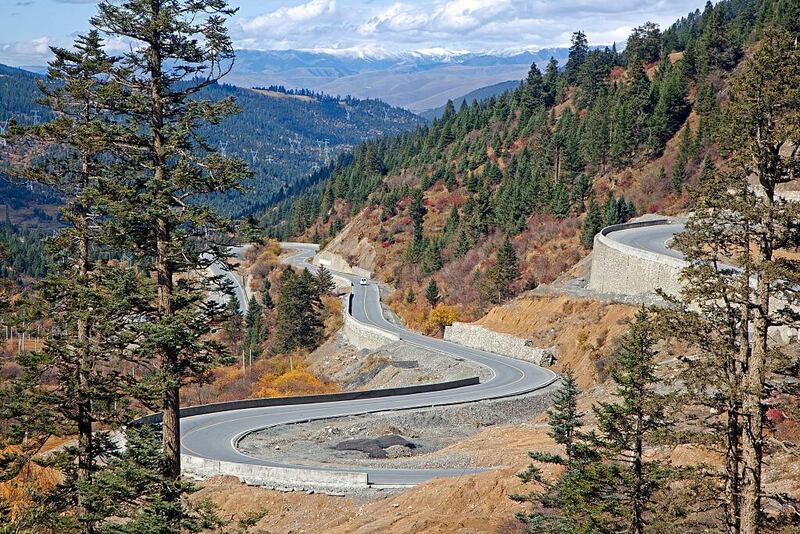 The Sichuan-Tibet Highway is breathtaking and one of the most statistically dangerous roads in the world. Thanks to frequent avalanches, rock slide, and generally poor weather in the area, the highway is prone to accidents. In fact, in the last two decades, there have been 82,000 accidents or 5.1 accidents per every 10,000 vehicles. A44 runs from Oxford to Aberystwyth in the United Kingdom. Upon first glance, the road may seem like your normal thorough fare, but don’t be fooled. A44 changes what side of the road drivers are required to drive on, which is not only confusing, but potentially deadly — especially for unfamiliar drivers. 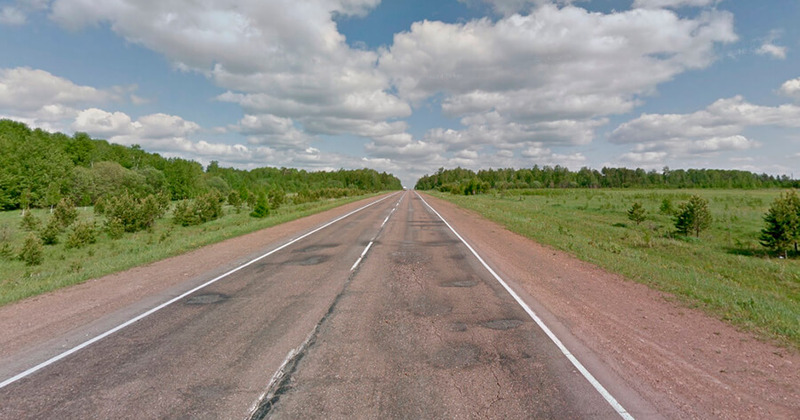 It’s no surprise that this road experiences a significant number of head-on collisions. 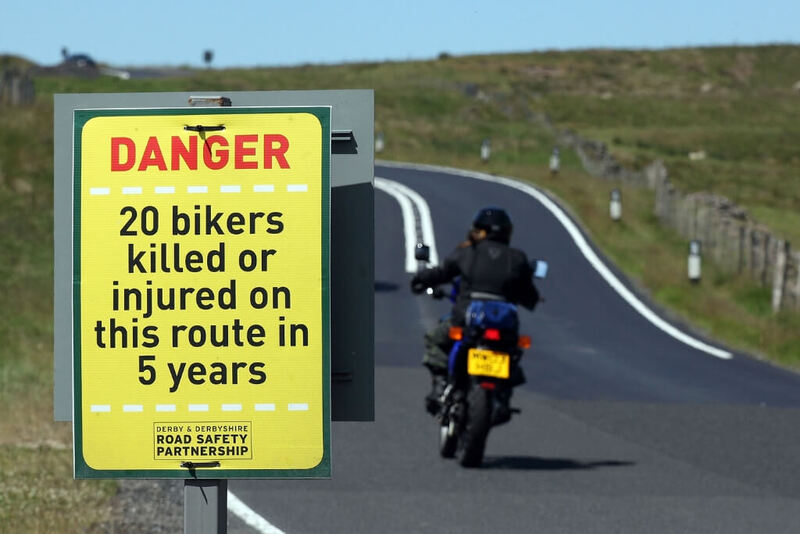 A44 gets a bad rap, but there’s another United Kingdom highway with a dangerous record. A537 is a two-lane highway that looks pretty run-of-the-mill at a glance — but this highway has been the location of 34 critical accidents in recent years. 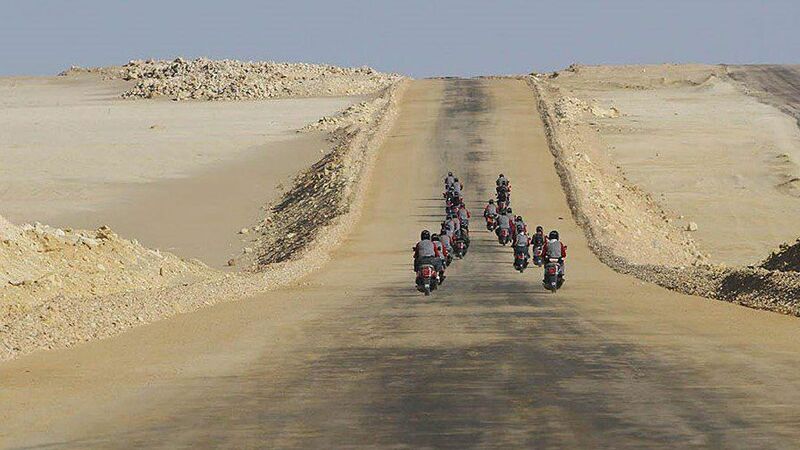 Luxor-al-Hurghada Road presents dangers in many forms. For starters, much of the road is devoid of pavement and the lack of streetlights make driving at night especially perilous. But the biggest dangers of Luxor-al-Hurghada Road are the people that inhabit the area. The area is known to have bandits camped throughout and most accidents are actually a result of criminal activity. Patiopuolo-Perdikaki Road in Greece is absolutely breathtaking, but don’t let its beauty fool you. Thanks to a combination of lack of maintenance and few guard rails, this road is one of the most dangerous in the world. 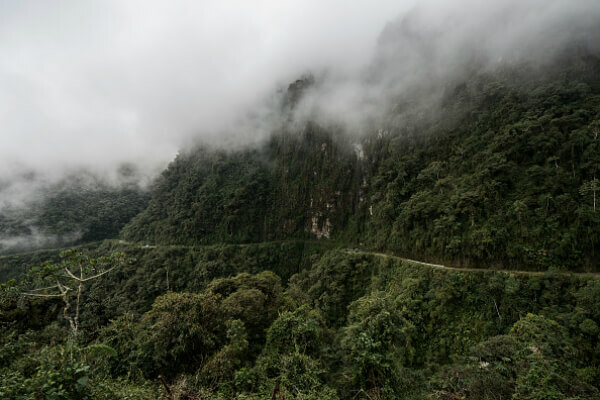 Due to its high elevation, the area is susceptible to cold temperatures and inclement weather which only makes traversing the route all them more terrifying. Romania’s highest road draws drivers in with the promise of breathtaking views — but Transfăgărășan should only be traversed with extreme caution. 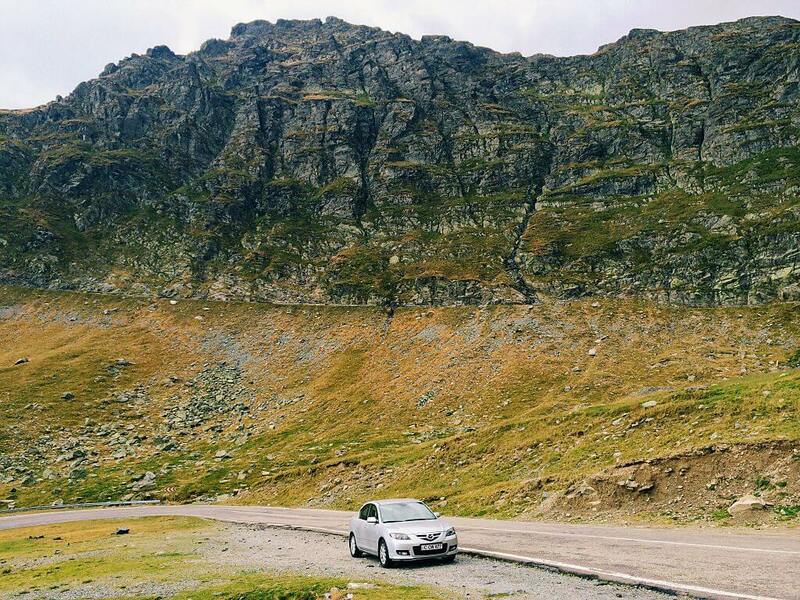 Climbing to an altitude of 6,699 feet, Transfăgărășan is dotted with sharp descents, long S-curves, and hairpin turns. Due to its topography, the average speed limit is just 25 miles per hour, but daredevils often push the limits. You don’t earn a nickname like “Road of Bones” for nothing. 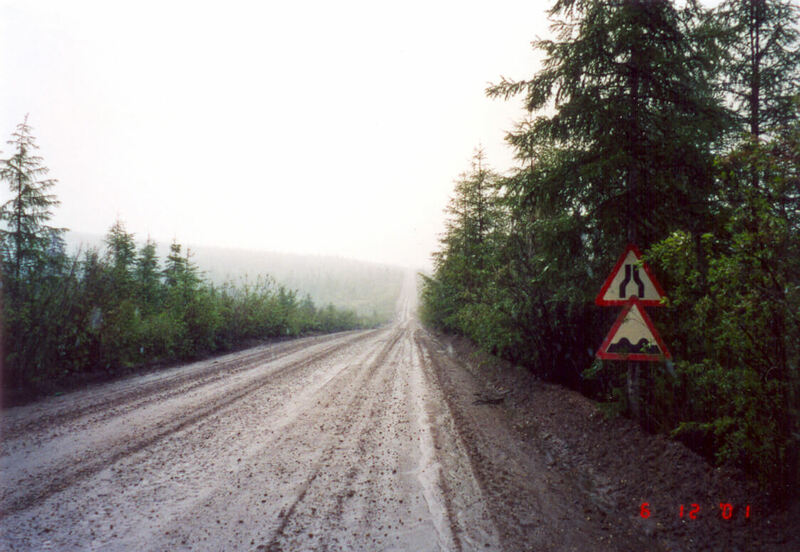 The R504 Kolyma Highway has a unique history. It was built by prisoners n 1932 and was finally completed two decades later. During that time, many of the prisoners died, so the road was named after their skeletons. As if you needed another reason to avoid this route, the coldest temperature ever recorded outside Antarctica occurred here. Does the idea of driving without and law enforcement or regulations sound like a dream to you? If so, get on over to Commonwealth Avenue in the Philippines. While you may get to your destination faster by taking this route, it’s important to be vigilant. The road in Quezon City has had numerous cyclist, pedestrian, and vehicular collisions throughout the years, many of which have been fatal. It’s not called “Killer Highway” for nothin’.